for $299,900. 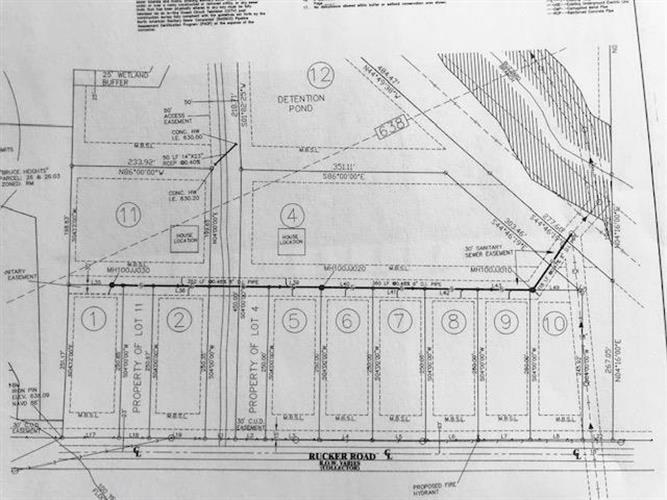 The lot size is 9.010 Acre(s). Approximately 9 acres of level land already surveyed into building lots. Lots 1, 2, 4, 5, 6, 7, 8, 9, 10 & 11 are all included in the purchase price. Seller is retaining lots 3 & 12. All approvals complete and ready to develop. Sewer available.